While there are a lot of cases out there that encapsulate your iPad for all around protection all the time, some prefer to use the iPad "naked," so to speak. 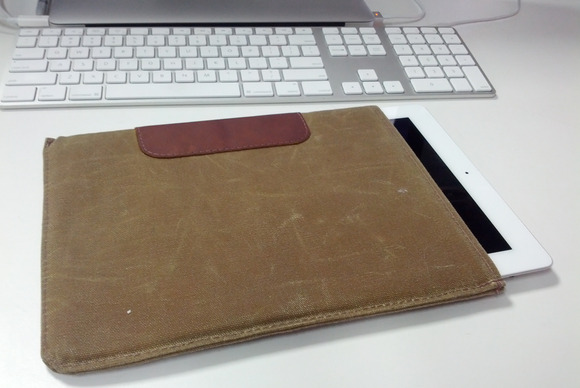 So for those who like the raw feel of the iPad, the Durables Sleeve ($65) by Dodocase is a viable option for your iPad 2 and third- or fourth-generation iPad. The waxy canvas exterior and felt-lined interior provides protection for when you're transporting your iPad, or when keeping it on the coffee table for extended periods. I found the Durables case to be pretty effective at keeping my iPad safe while in transport, and felt comfortable keeping it in my bag while traveling. The iPad fits snuggly in the case, which was nice most of the time, but a occasionally a hindrance—specifically, when inserting or removing the iPad, this snugness would cause the case to toggle the mute switch. This unwanted toggle flip cased my iPad to sound off multiple email alerts while I was in class, so be sure to keep an eye on it. The side of the case occasionally catches on the mute/orientation-lock switch. 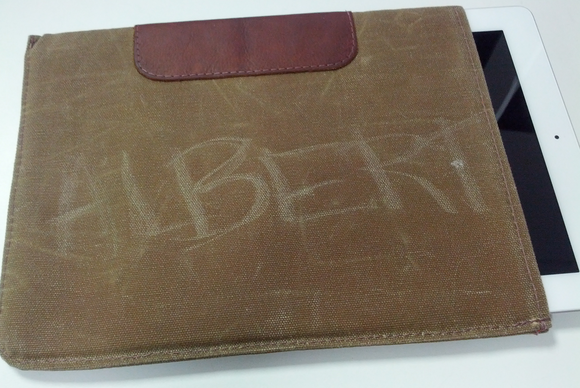 The case is made of a waxed canvas, which has an interesting texture unlike what I thought it would be from just a glance. It feels a bit more waxy than it seems—perhaps to repel light water splashes—but because of this infused wax, the Durables Sleeve is susceptible to changes in appearance. I could easily leave scratch marks on the surface with my finger nails, and bending the case also produced a similar effect. I didn't mind this, but some people that saw the case noticed the marks and commented that they didn't like their appearance. I was surprised at how much I enjoyed the little leather hand grip on the edge of the Durables Sleeve, as it made it comfortable to carry the case around. The inside of the case is felt and colored bright orange, and while it's soft and snug the material doesn't do much to rid the screen of smudges. If you want, you can cram your iPad in with an Apple Smart Cover attached; The fit will be tight though, and you can't have a shell-style back cover on your iPad at the same time. I'm keen on the unique texture of the Durables Sleeve, but at times I wish it had some sort of flap or snap that would hold my iPad in if the case was picked up from the wrong end. Aside from that, just make sure you want a sleeve rather than a more permanent case affixed to your iPad before you decide to purchase one of these. 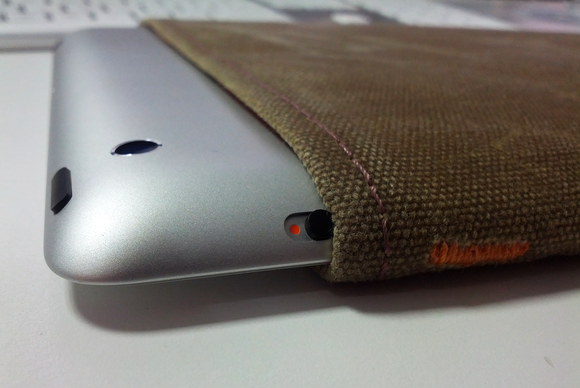 For those who like the look and feel of a bare iPad, sleeve cases make a lot of sense, and the Durables sleeve from Dodocase will do a decent job protecting your iPad from scrapes and bumps.